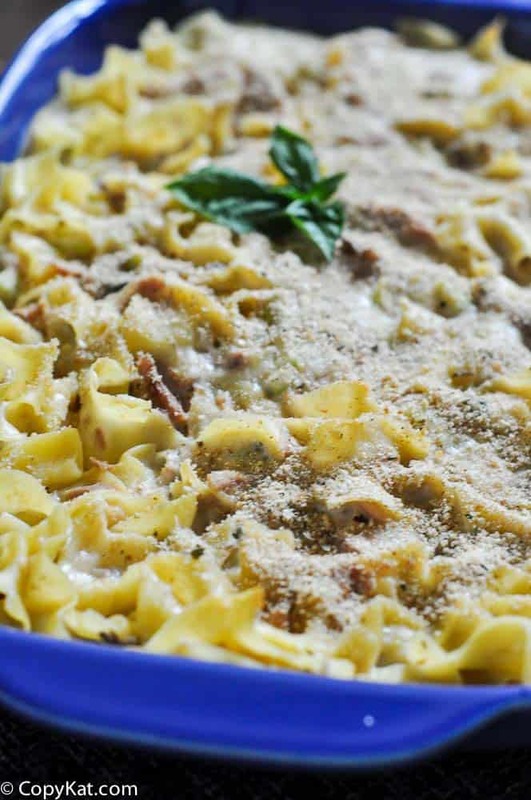 love this version of Tuna Noodle Casserole. The Evaporated Milk makes it really creamy. 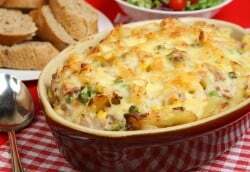 This tuna casserole has been a family favorite for a long time. Egg Noodles, tuna, and a savory sauce makes this a favorite. Cook noodles according package directions, drain. Stir in soup and next 6 ingredients, pour into a lightly 8 inch greased square baking dish. Bake at 350 degrees for 25 minutes. Sprinkle casserole with crackers and bake an additional 5 minutes or until thoroughly heated. This was a great tuna casserole. .. I prefer my TNC without cheese…so make it without it. I just think its best to keep those flavors ‘ pure’..and the cheese sort of muddles it, IMO. Other than that, almost like the one my Grandmother taught me to make..MANY years ago. She added celery and a tiny bit of garlic, but all else is very much the same.. and she used a mixture of cracker/ bread crumbs for on the top. SO yummy. the same. I would request this dish a LOT. ..even asked for it for dinner on my 12th BD. ..thats how much I liked it. Still do, and I am now 50- something years young. This would make 4 to 6 servings.